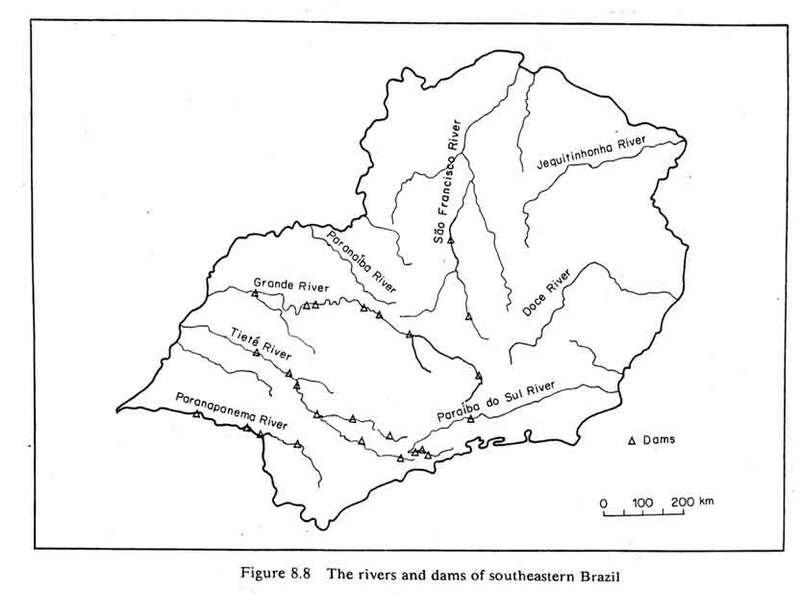 "Major rivers of the southeastern region [of Brazil] show pH values between 6.0 and 7.5. Thus, there is little or no evidence of acidification of either soils or surface waters." (pg. 293) 27. -Data on anion retention capacity? 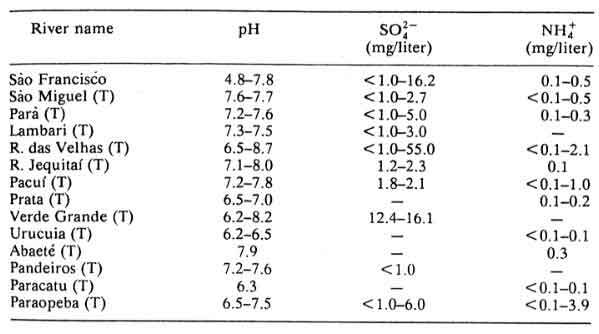 -Aquatic ecosystem must have low alkalinity for acidification to result in biological damage. 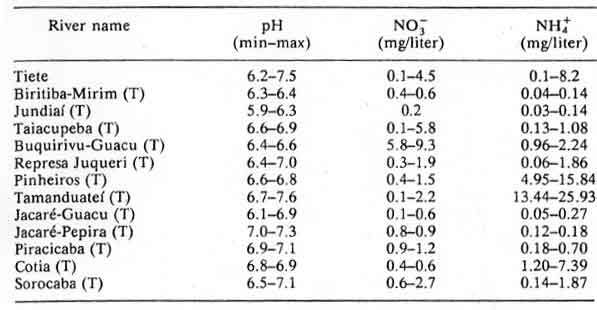 Aquatic ecosystems of this type are typically associated with acid soils 26. "Differences in nitrogen and sulfur concentrations observed in river waters of the southeastern region of Brazil cannot be explained by geological, pedological, or climatic factors. Higher N0-3, NH+4, and SO 2-4 contents were determined in rivers crossing urban and industrial areas, the same areas that also present a polluted atmosphere." (p.284)27. -Likely due to large quantity of cement dust in the air27. 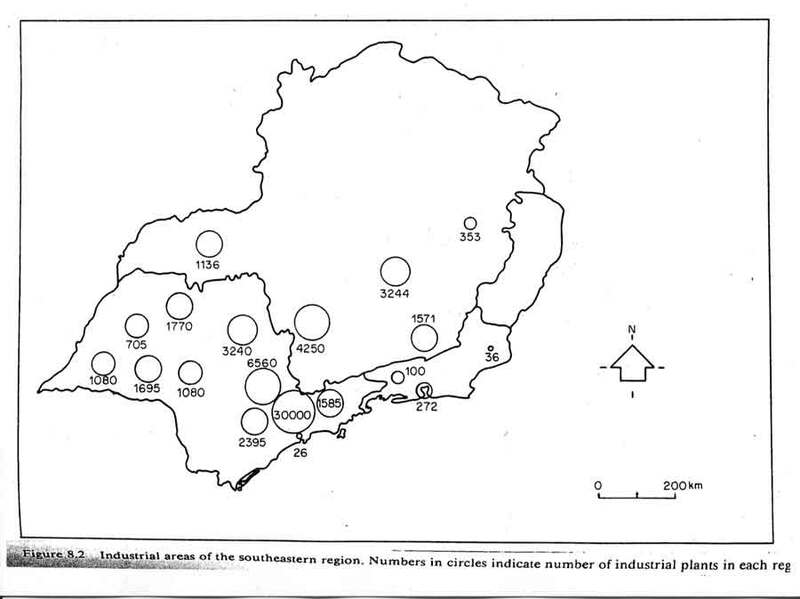 -Principal air pollution sources outside urban areas: Biomass burning and animal waste disposal 27. -Permanent monitoring networks to determine long-term changes in chemistry of soils and groundwater aquifers 27. ***Note: I will update these web-sites as correct bibliographical entries soon. 17. Towards improving natural resources use in Eastern Amazonia through a modified sequential agroforestry system Sa, T.D. de A.; Vielhauer, K.; Kanashiro, M.; Denich, M. and Vlek, P.L.G.